How does it feel to become a minister of one of the European Union member country for a couple of days? How are the agreements on the European level agreed upon? How are the international crises solved and compromises under time pressure made? What the work in area of diplomacy involves? Model European Union offers to 28 university students a unique opportunity to try the roles of heads of diplomacy of the EU member countries. During the preparatory meetings, they will have acquired all the necessary skills and knowledge, meet various figures from this area and pre-negotiate the agenda for a final conference. 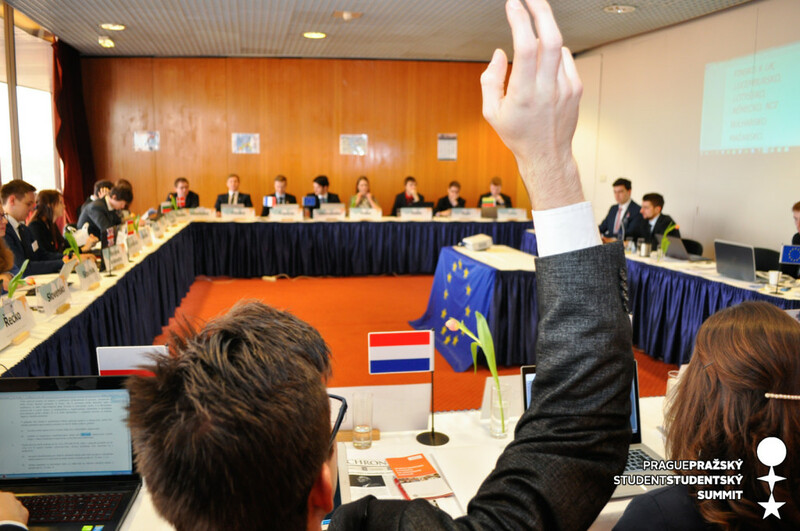 Model EU’s main pillar is a simulation of the Council of the European Union, where participants step into the roles of the ministers of the states of the Union. The aim of the Model EU is not only to offer a practical experience with a decision making process in the organization but also to give an opportunity to young talented people to show their skills and forge new contacts among their peers.